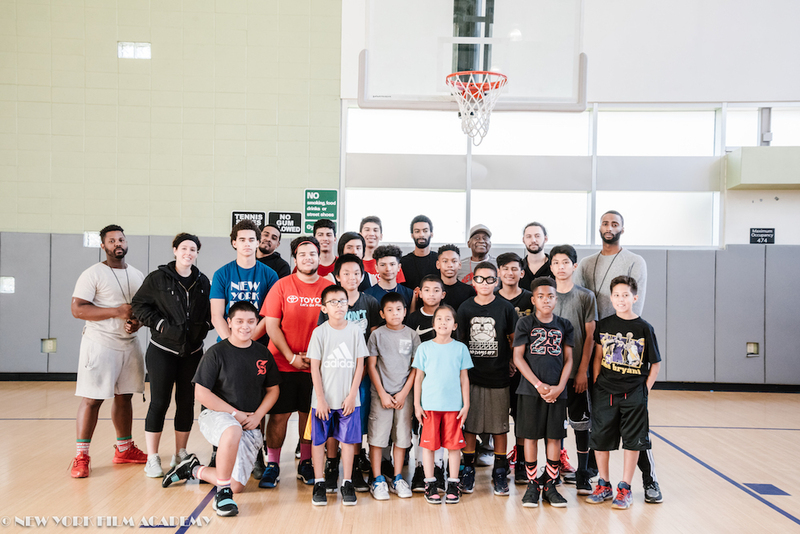 This winter, the New York Film Academy (NYFA) Los Angeles campus men’s basketball team, the NYFA Jaguars, embraced the idea of giving back. 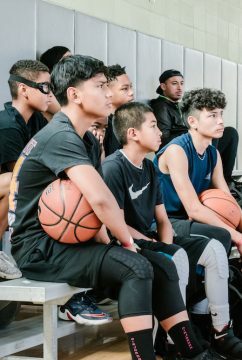 Forming a partnership with Heart of Los Angeles (HOLA), a non-profit organization that provides Los Angeles children free access to academic, art, and athletic-based classes, together, HOLA and the NYFA Jaguars created a basketball clinic for kids. 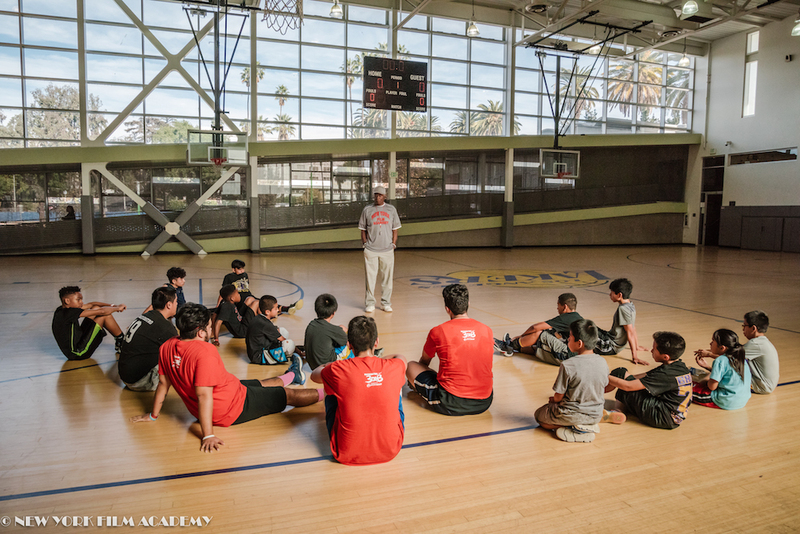 The clinic was led by the NYFA Jaguar’s coach, NBA Champion Lucius Allen. The clinic consisted of basketball drills that legendary UCLA Coach, John Wooden, used to train Allen when he was in college. “Wooden’s philosophies helped define success for me both inside and outside the game of basketball.” Allen said. 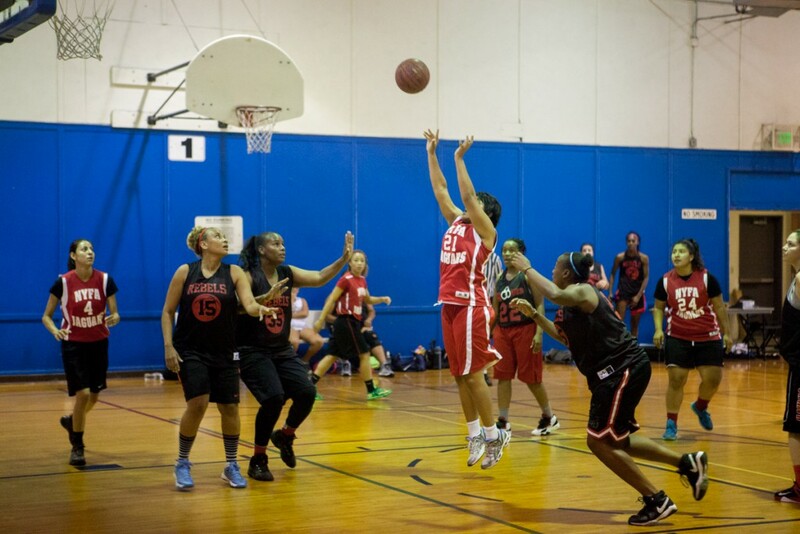 The goal was to help instill confidence and sportsmanship in the young basketball players. 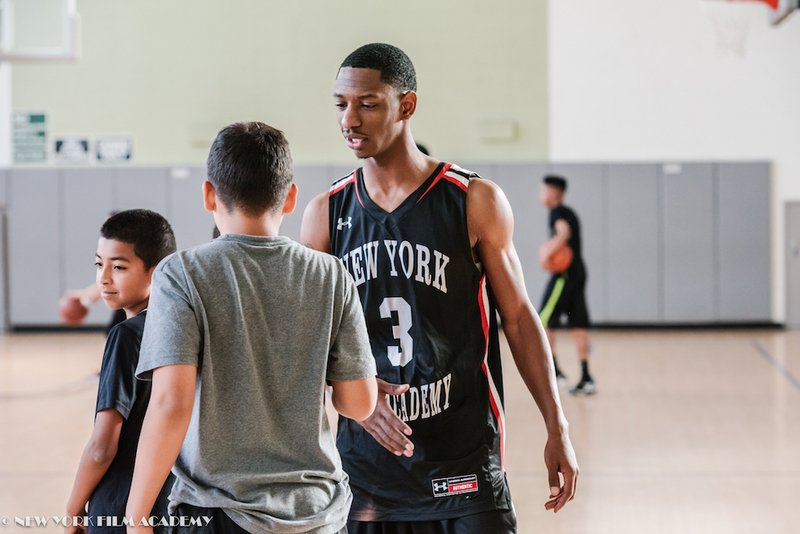 That sentiment of creating positive change within the community is a cornerstone of the New York Film Academy’s Athletics Program. 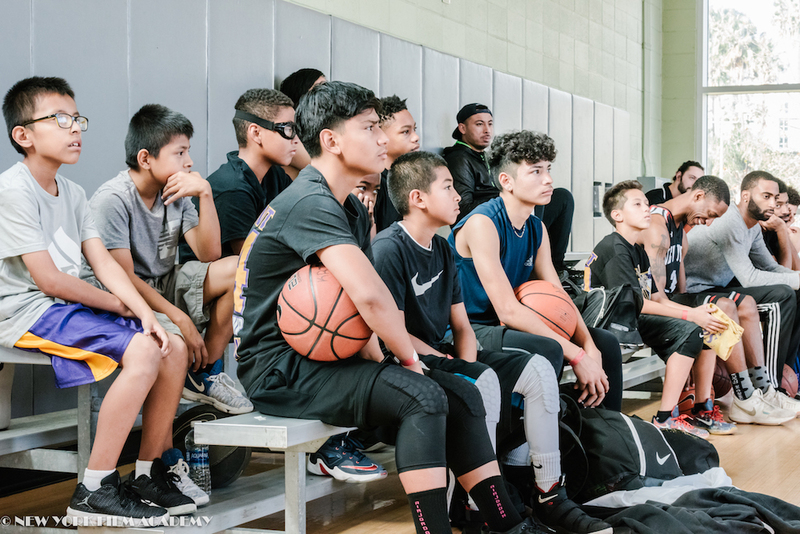 Through the Athletic Leadership Development Program (ALDP), NYFA students are encouraged to seek out opportunities where they can give back as a team. With that goal in mind, the basketball team will also be creating Valentine’s Day cards for children at a local hospital. 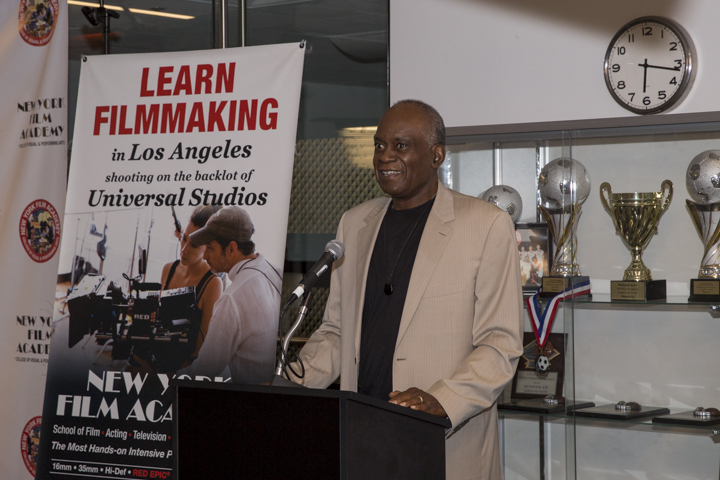 The New York Film Academy would like to thank HOLA and Coach Allen for giving our students a chance to pay it forward. 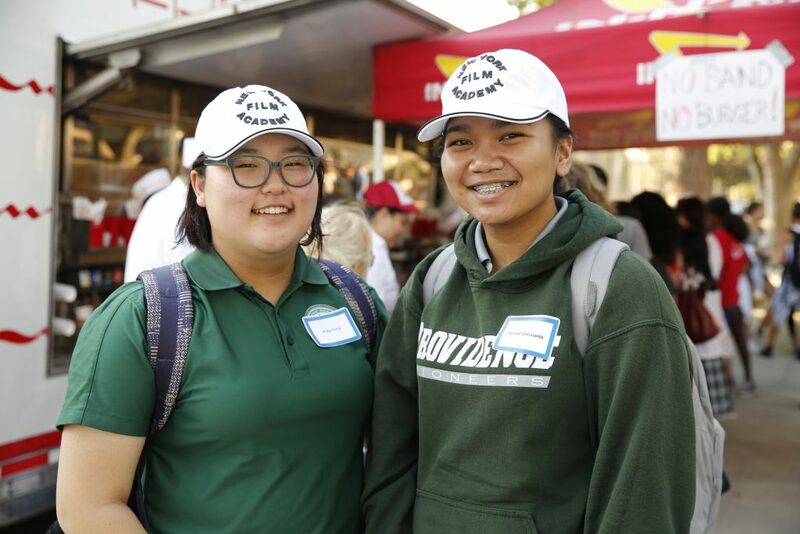 Graves continued, “I think it’s super important because it gives like-minded people a chance to be a part of something bigger.” Clubs and activities are an important part of any student’s general education. According to the National Center for Education Statistics, “Indicators of successful participation in school include consistent attendance, academic achievement, and aspirations for continuing education beyond high school. Extracurricular participation was positively associated with each of these success indicators….” So, it follows that students registering to join clubs are putting themselves ahead of the curve. Representing at the festival were Athletics, LGBTQ, Student Government, African & Black American Film Club (ABA), Chinese Club, NYFA C.A.R.E.S., Glee Club, Le Femmes De Cine, Industry Lab, and Indian Club. Hosts broke down what the club activities scheduled throughout the year were, what weekly meetings are like, and what the participants are hoping to accomplish in the school year. Mel Gamboa, who helps run ABA, is passionate about engaging the school’s Black student population. “We want to make opportunities for students to network.” In that spirit, they’ve organized an event to attend a film summit at the academy. They’ve already started planning small changes that will have a big impact. One of the major changes they’ve made is to get rid of a hierarchal system. There is no President, just students trying to make their school better. Another initiative is to bring the Barham and Riverside buildings together. Many acting students have never stepped foot in the Riverside building, and the same could be said of filmmakers for the Barham building. Finally, they’re hoping to get the school to go green. Francia Romero was representing the Latin Club. The goals of Latin Club are to share the cultures of Venezuela, Mexico, Columbia, Argentina, and, yes, Spain with one another. “We want to share these diverse cultures whether it’s through short films, plays, or music,” Romero said. 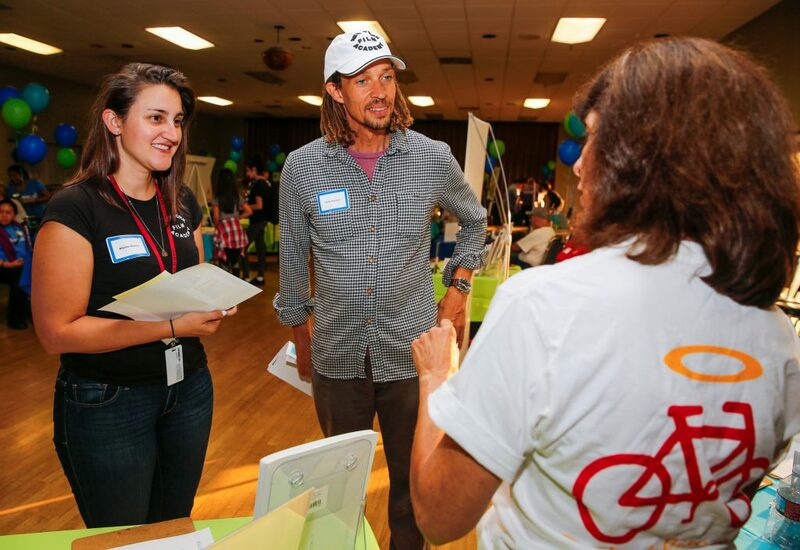 NYFA C.A.R.E.S is a volunteer program that seeks to help the surrounding community. 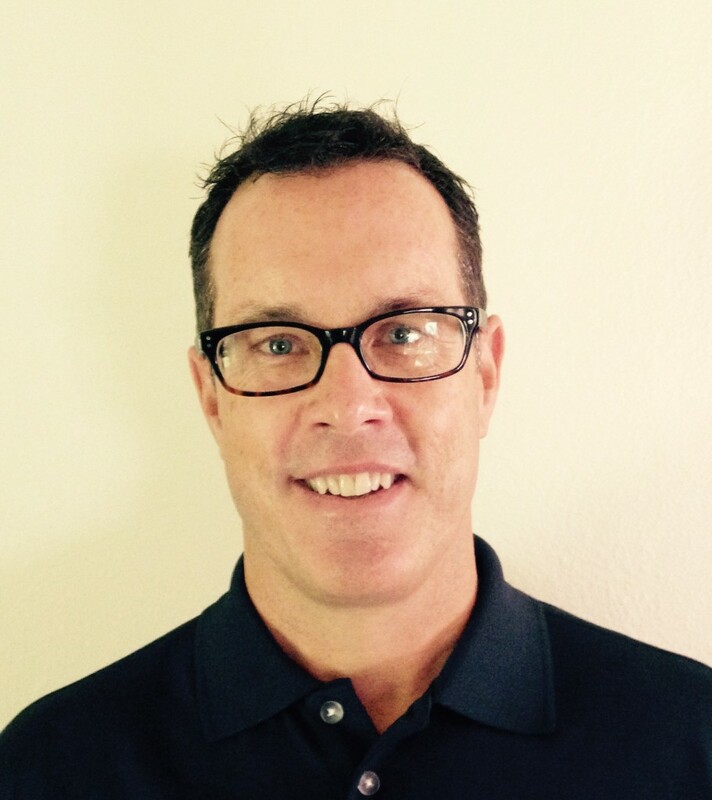 Paul McKenna is the Community Outreach Department and Service Leading Manager for C.A.R.E.S. He’s hoping to make the club a Circle K and has already secured sponsorship from the local Kiwanis club. One of their upcoming projects will take place over the holiday break. Burbank has a float in the Parade of Roses. C.A.R.E.S. will be donating their time to decorating the float with roses. “It’s simple stuff. We just have to learn how,” said McKenna. 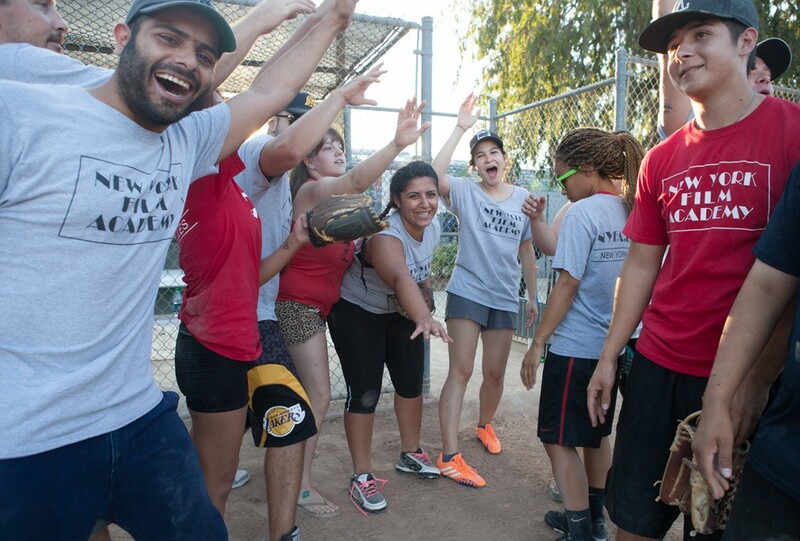 NYFA Los Angeles has many award-winning sports teams. Elise Cregg was at the fair representing the Athletics department. “Working well with others, leadership, and teamwork, you practice all those skills when you join athletics,” Cregg said. Sports teams include basketball, soccer, and baseball. 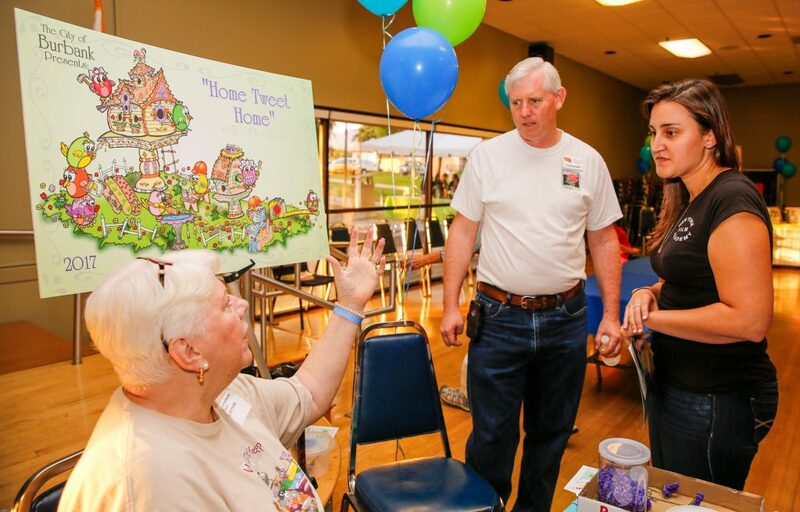 If you’re interested in joining a club or organization, but missed the fair, there’s still time to join. Check the boards on each floor for upcoming events, or search for their pages on Facebook. 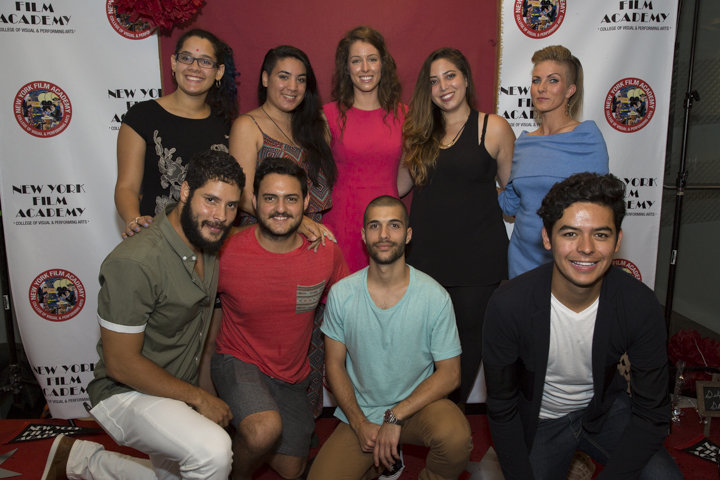 The New York Film Academy College of Visual and Performing Arts (NYFA) Athletics Department hosted its 1st Annual Athletics Banquet for its coaching staff and athletes on Sunday, August 14, 2016. The Banquet brought together the department in its entirety to recognize and celebrate everyone’s hard work and success. 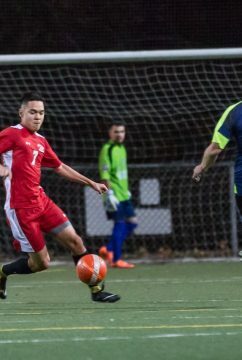 Since the establishment of athletics in 2014, NYFA has created seven athletic teams and two clubs that would go on to earn seven 1st place and 2nd place trophies. Following Eric’s speech, each coach shared memorable moments and cherished experiences throughout their seasons. The men’s basketball coach, Lucius Allen, talked about his team and the players’ improvement over the past few seasons, along with their consecutive back-to-back championships. Steven Goldstein, head coach of the women’s basketball team, raved about the camaraderie and diligence of his team, overcoming any obstacle, earning two 2nd place trophies. 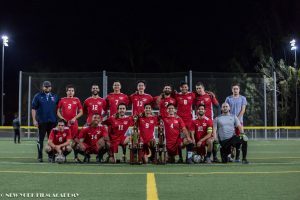 The two-time championship winning men’s soccer team was introduced by their new coach Roy Lev-Ari, who spoke volumes about their commitment and his resolve as their coach. Emily Seidel introduced the co-ed softball team and talked about their improvement and dedication to the program. Elise Cregg spoke about the department and her new position as the Athletics Coordinator, as well as enjoying coaching the men’s and women’s volleyball teams. The student athletes and coaches also participated in a raffle, which ranged from Nike gift cards, to classic historic sports movies. The athletics department looks forward to next year’s athletics banquet and celebrating the upcoming sports’ seasons! 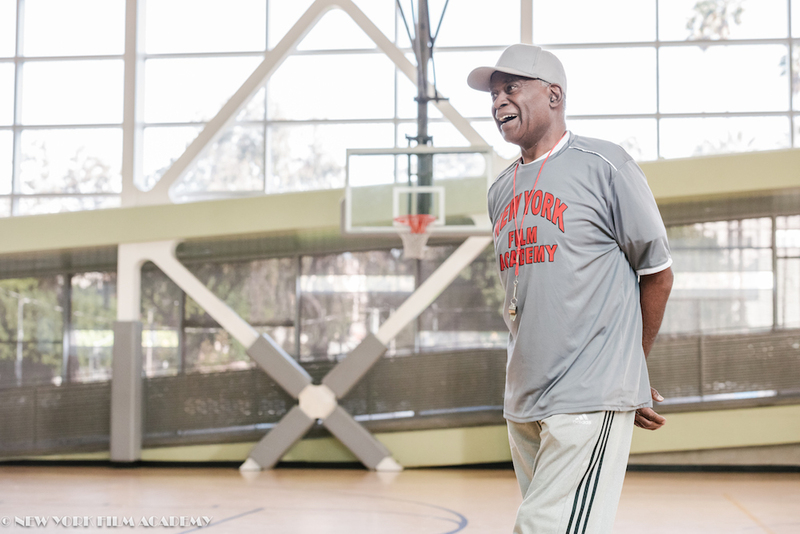 The New York Film Academy College of Visual & Performing Arts Men’s Basketball team performed admirably this Winter 2016 Season thanks to the guidance of their coach, former player, Lucius Allen, who not only played for the 1971 NBA Champion Milwaukee Bucks, but was also a part of the two-time NCAA championship team at UCLA in 1967 and 1968. 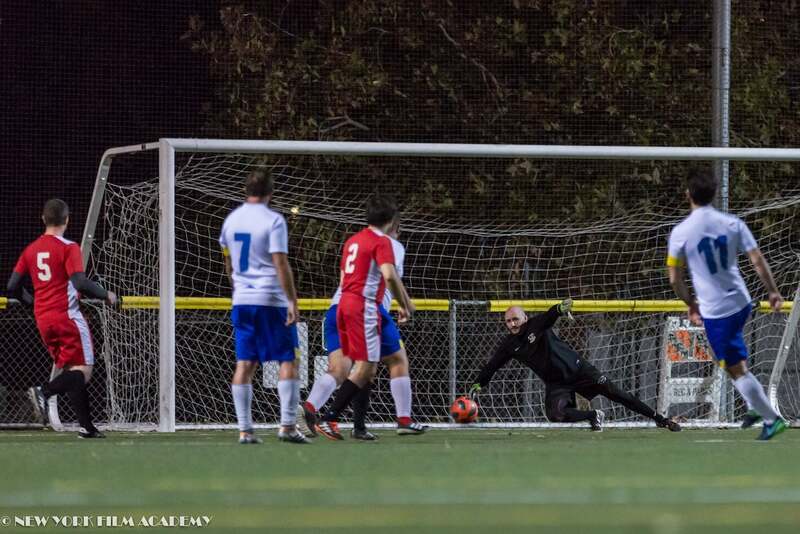 At the beginning of the season, our NYFA Actions faced off against high-level opponents with ‘down-to-the-wire’ victories. 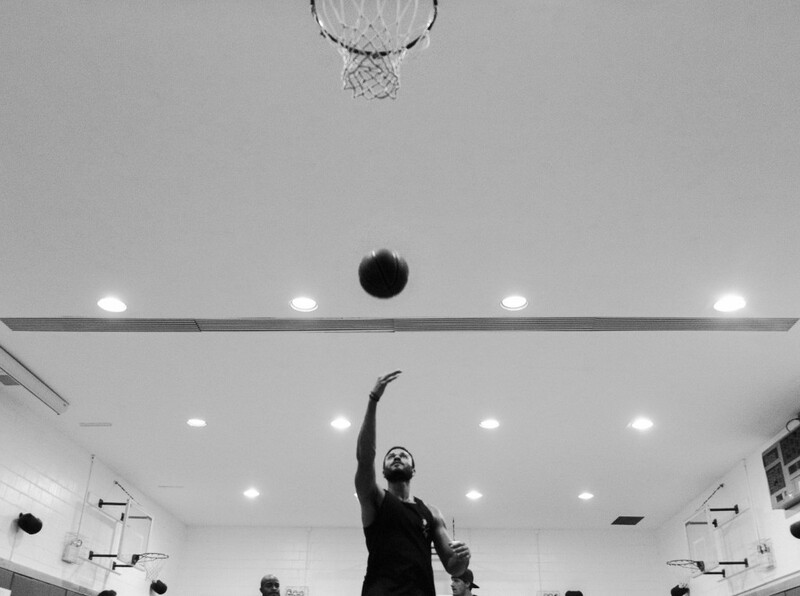 During the mid-season reign, the team continued to grow and enhance their skills and court strategies, which paid off when they earned a solid position in the playoffs. 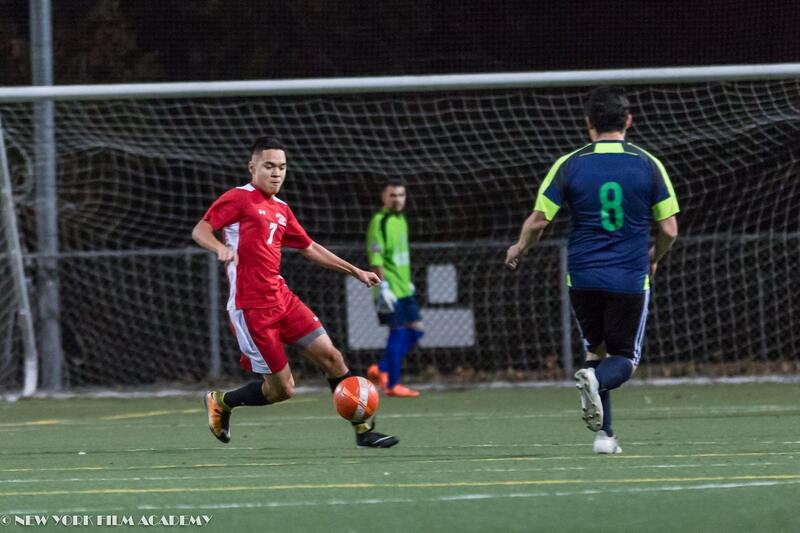 The first round of the playoffs tested the team’s training and diligence when matched against formidable teams. 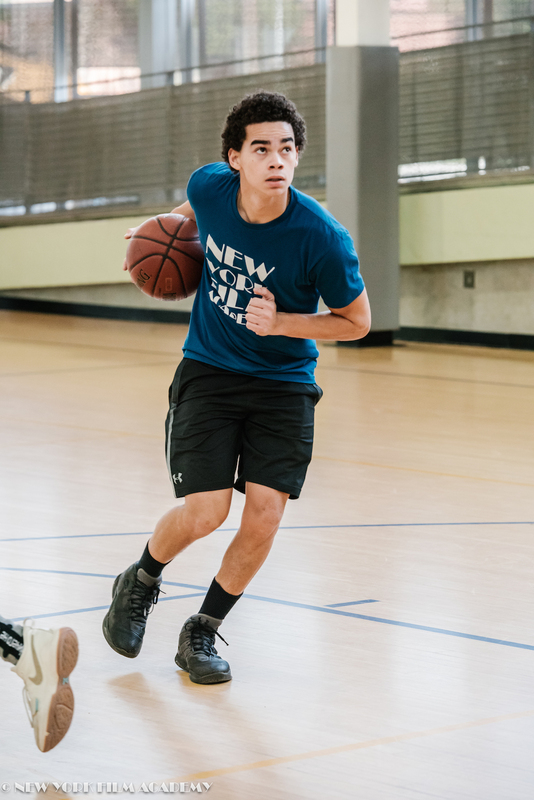 The games started out close, but in the end, NYFA secured victories culminating in a score of 61- 50 in their final game to end the playoff season. 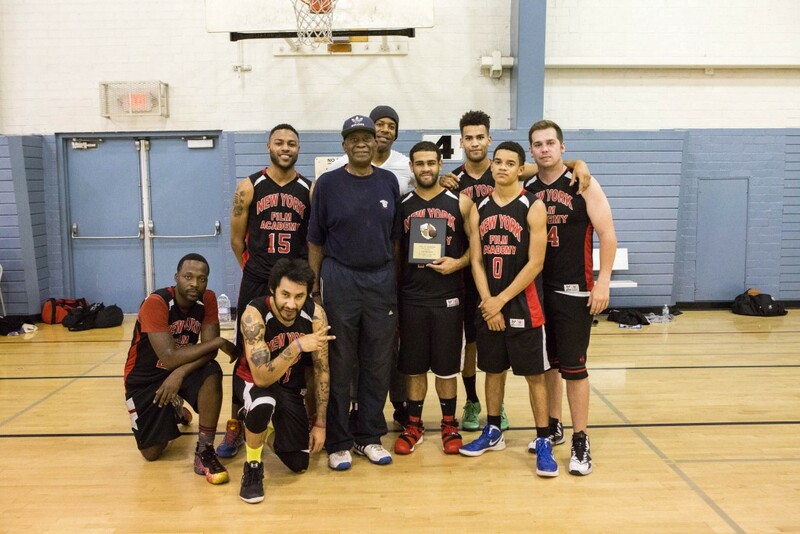 With their new found ethics of team work, led by coach Lucius Allen, the NYFA Actions earned their place in the championship game for the Burbank Sports League. 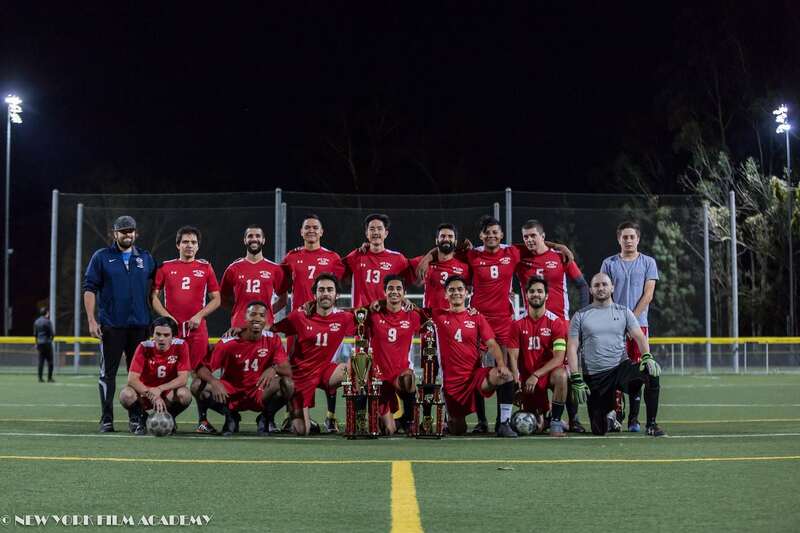 The season finally came to a head this past Tuesday night when the Actions took on the Burbank ‘Wolf pack’ in the championship game of the Burbank Sports League. It was a true nail biter, but the team kept their composure and were able to keep the score close as starting point guard Jean Hyppolite led the way with 23 points. 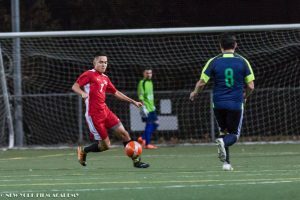 With aggressive defense, and a well-executed offense, the Actions were able to take the lead away from the ‘Wolf pack’. They held this advantage until the end of the game with a win and a final score of 65-56. Coach Lucius Allen, and the entire basketball athletic staff have done an incredible job this season. 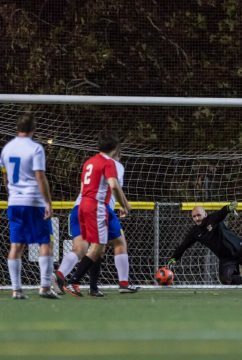 We’d like to invite everyone out to the games this summer as our very own NYFA Actions will be looking to move up a division and repeat this season’s victory. 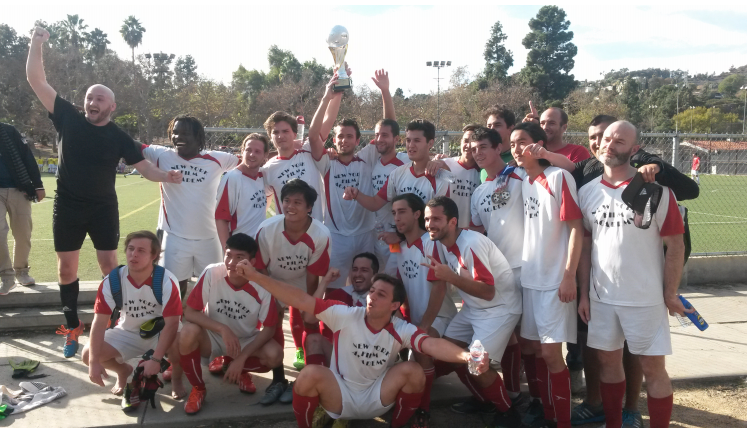 The New York Film Academy soccer team made history Sunday after winning the championship game, 3-2 against Cobra Kai. 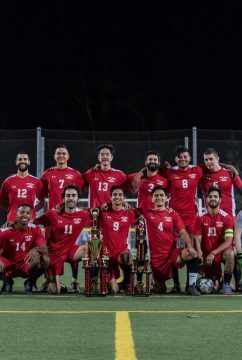 This was the first championship game for our (11v11) soccer team and member year as we etch our name across the Los Angeles Municipal Soccer League. 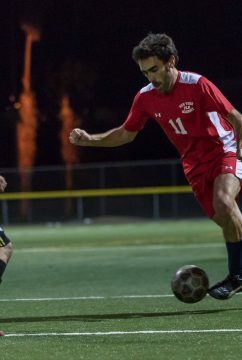 Soccer coach Gabriel Penaloza’s influence, momentous discipline and his teaching of a “can do” attitude, lead the players to this eventful season. 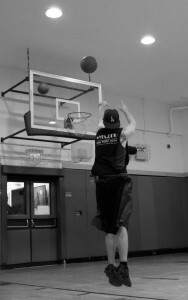 Our players have adapted and carried the spirit of the New York Film Academy to higher level on and off the field. 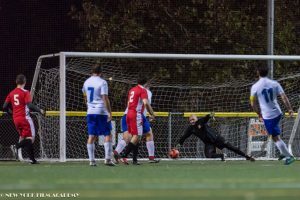 The New York Film Academy soccer team is now highly motivated to compete in the higher division next year. “This is a phenomenal achievement for our team, the school and I’m really eager to see what the future holds. 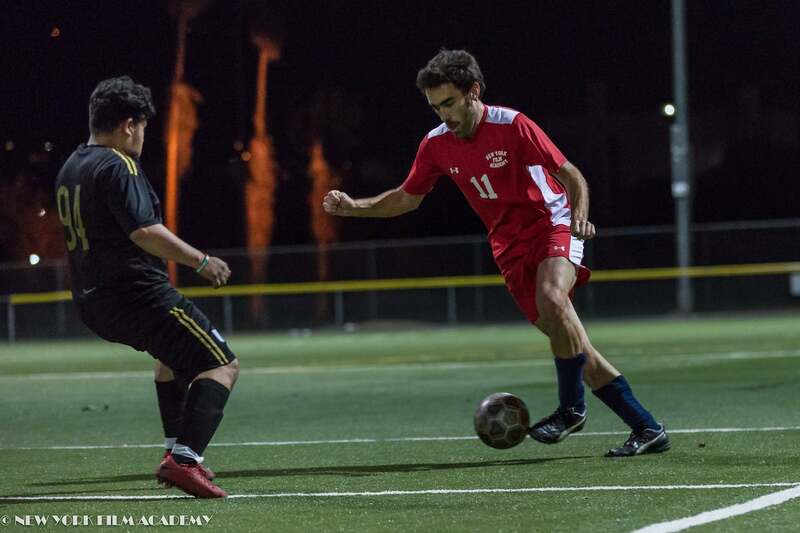 I’m sure we will claim victory again and continue to do our best to represent our school,” said Adam El-Manawy, Athletic Coordinator and current player. All 22 players on the roster were part of this success. A special thanks to the “veterans” players who believed in this team since its creation in 2012. The team and the program as a whole wouldn’t be at this level today without them. The New York Film Academy proudly recognizes our women’s basketball team, NYFA Jaguars, for making it to the finals this past weekend. Their camaraderie and teamwork paved the way for a 2nd place season end, with a final record of 8 wins and 4 losses. The team’s achievements and steadfast attitude are an inspiration to the entire school. The passion and leadership displayed by coach Kirill Yusim and team captain Talya Adams also deserve the highest praise. The New York Film Academy congratulates the women’s basketball team on their triumph this season. The team displayed an admirable leadership and diligence that will carry through to all sports, and there is no doubt that we will come back even stronger next year. The New York Film Academy softball team recently made history as coach Mikki Cronkhite led her team to the championship in their first-ever season! Our team was certainly marked as the underdogs this season, but the ongoing camaraderie and determination to excel at every game propelled them to take home the title! Coach Mikki inspired the players to develop their skills and, most important, the spirit of solidarity that is crucial in any collective endeavor. 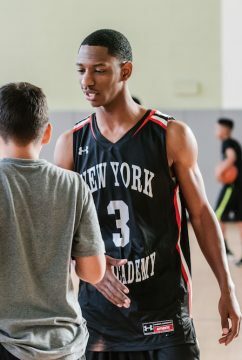 The New York Film Academy is proud to have persistent athletes and coaches representing our school in the world of sports. Sunday, August 23rd, was a memorable day. On behalf of the Athletic Department and the New York Film Academy, we congratulate our softball team for winning the league. We are champions! 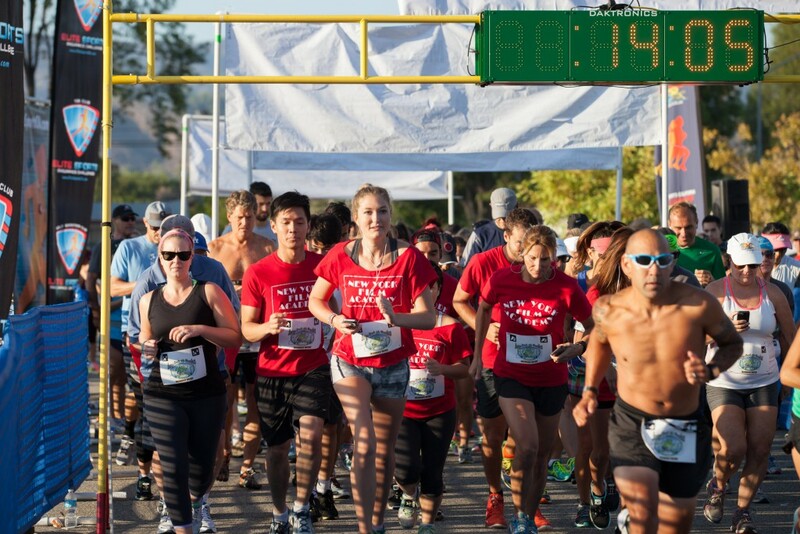 The New York Film Academy Running Team joined the competitive Simi Valley Arroyo Creek 10K event, with a total of 167 participants, on Sunday, August 9th 2015. Our runners overcame the difficulties of this challenge with a vigorous, energetic and determined attitude, with memorable and remarkable results. Todd Lien, an MFA Acting student, proudly represented our Academy by finishing 5th place overall, running at a consistent pace of 6:59 minutes per mile and a total time of 43:15.4 minutes. Todd was also the winner of his age category. Our female runners finished strong as well. Olivia Ekelund, an AFA acting student, was the winner of her age category with an impressive solid pace of 8.16 minutes per mile and a total time of 51:24.4 minutes. Congratulations to our runners for their exemplary spirit and achievement! Recently, movie and video game writer Patrick Hegarty dropped by New York Film Academy’s Business of Screenwriting class to share his remarkable journey of how this one-time professional NFL football player went on to become a professional screenwriter and video game scribe. Hailing from Orange County, CA, Hegarty attended the University of Texas at El Paso, where in addition to playing football on a scholarship, he earned himself a Bachelor of Arts in English. However, in 1989, he was recruited by the Denver Broncos and ended up becoming the back-up quarterback to John Elway and Gary Kubiak. After 2 years in the NFL, Hegarty attended the University of Colorado Denver and attained his masters in English. The initial plan was to become a novelist, get his PhD, and teach. And for a while that’s what he did, teaching high school English and writing books, including the semi-autobiographical tale, “The Dazzle of the Light” (Wexford College Press), about a troubled man coming to terms with the untimely death of his brother. “The problem with books is that they take a lot of time. A lot of time,” Hegarty smirked. Before long, Hegarty immersed himself in video games, writing the scripts for over a dozen titles for Playstation 1 and 2, including, MLB 2002, The Legend of Spyro: A New Beginning and Eragon, becoming a Senior Writer for Sony Computer Entertainment. “The great thing about writing video games is they give you the parameters, the plot-points, but you have a lot of freedom within those confines to make it your own,” Hegarty remarked. Hegarty soon became an acclaimed video game writer. He was a finalist at the 13th Annual D.I.C.E. Awards (Best Adapted Story for Ghostbusters video game); and a finalist at the 10th Annual D.I.C.E. Awards (Best Story – Kids’ Title for The Legend of Spyro: A New Beginning video game). NFL news used on this page source of nflbetting.us via NFL Betting. More recently, he was the Voice Director and Writer for Battleship, and wrote on Wipeout: The Game, NBA 2K15 and NCAA FOOTBALL 14. But writing in the gaming world isn’t all Hegarty has in his satchel of acumens. HIs first screenplay, Flower of Fire, won the prestigious Austin Film Festival Screenplay Competition and garnered some industry attention. Soon, managers came clamoring, and he signed with Madhouse Entertainment, where he’s still represented. Another action feature script S.T.E.A.L. — about an American hiding in Brazil who is blackmailed back into his life of crime to steal back loot from ‘The Sao Paulo Seven’, a multi-national gang of expert thieves — placed on the Hit List in 2010, an industry insider’s list of the best specs screenplays in Hollywood, before selling to Fox International. It is currently in development there, with early 2016 as the scheduled start of filming. Hegarty has been writing TV and film projects in addition to video games ever since. Currently, Hegarty is working on a one hour drama pilot as well as several feature concepts. He is represented by Madhouse Entertainment and yes, he can still throw a mean spiral. Due to the success of our basketball team in Los Angeles, the New York Film Academy in New York City started a league of its own. The league was established to promote healthiness and well-being, as well as growing teamwork that is necessary in filmmaking, and socializing with students from other departments. We thought, why not network on the court as well! 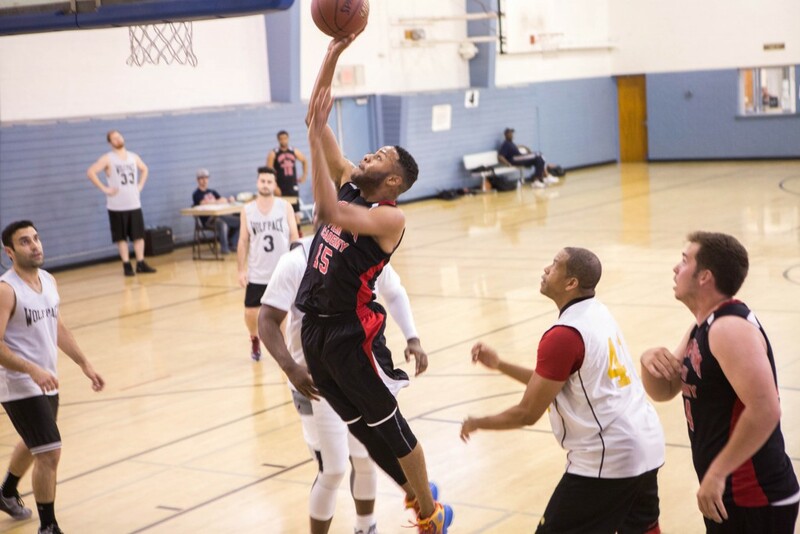 This past Friday night was the first intramural New York Film Academy NYC basketball game at Dwight School on Central Park West. We kicked off the season with three half-court games and one 15 minute 5-on-5 full court exhibition game. Thus far, we have four teams from all different departments playing the league. The program is being run by NYFA faculty members, Sarah Choi and Jack Picone. The next game is at Dwight School this Friday at 8pm. If you’re late you won’t be guaranteed to play — so be on time! Any current students and faculty can sign up with their own team or request to be added to one. If we continue to have a positive response to our games, we will be setting up playoffs or a tournament after the first few weeks. Please email Sarah Choi if you’d like to join as a player or start your own team.